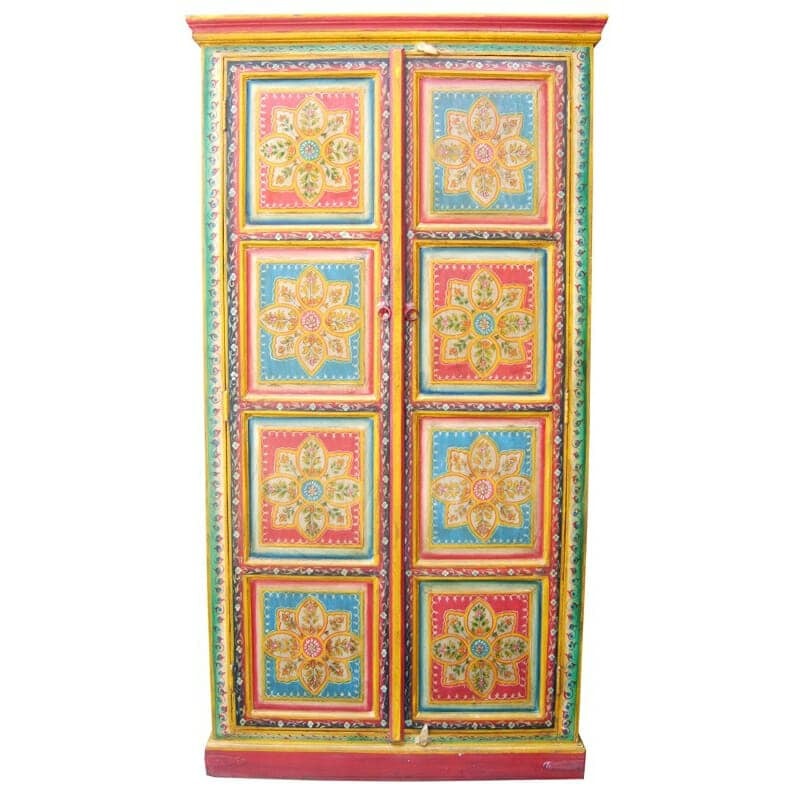 To infuse your home with all the sumptuous sights and sounds of India, look no further than this gorgeous mandala wardrobe. 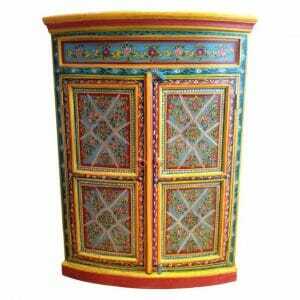 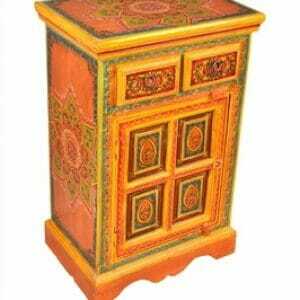 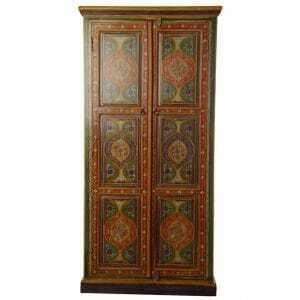 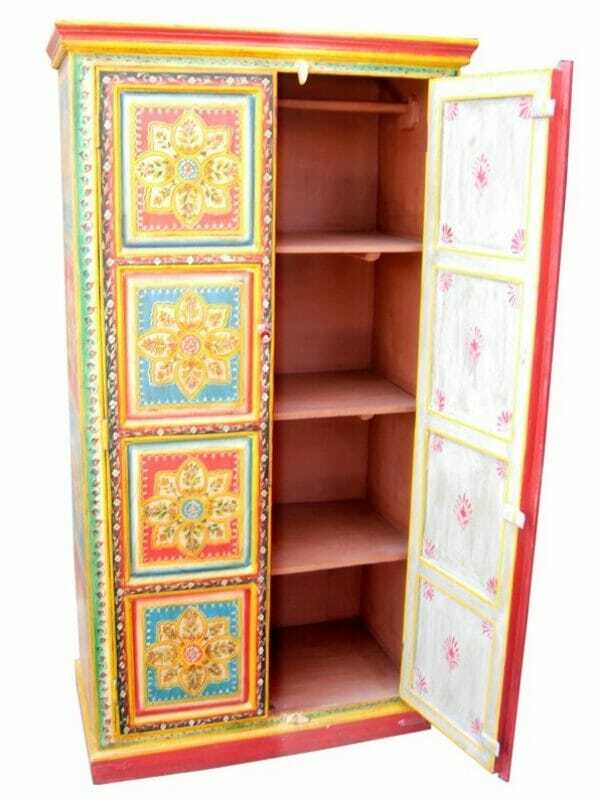 Hand-painted in all the rich colours of Indian spice, the bright reds, oranges, yellows and blues of this beautiful Indian wardrobe will enliven your space and brighten your day. The intricate, delicately painted mandalas will not only bring joy to your day, but remind you of the place of all things in your life. This high-quality mandala wardrobe is crafted from the finest materials and is built to last by our artisan Indian craftsmen, ensuring that piece is as sturdy as it is beautiful. 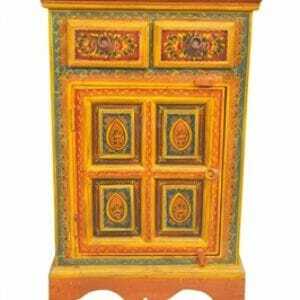 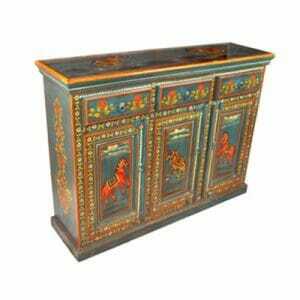 Each piece is crafted using the same woodcarving and painting techniques used to craft the exquisite furniture that can still be seen in the glittering palaces across Rajasthan. 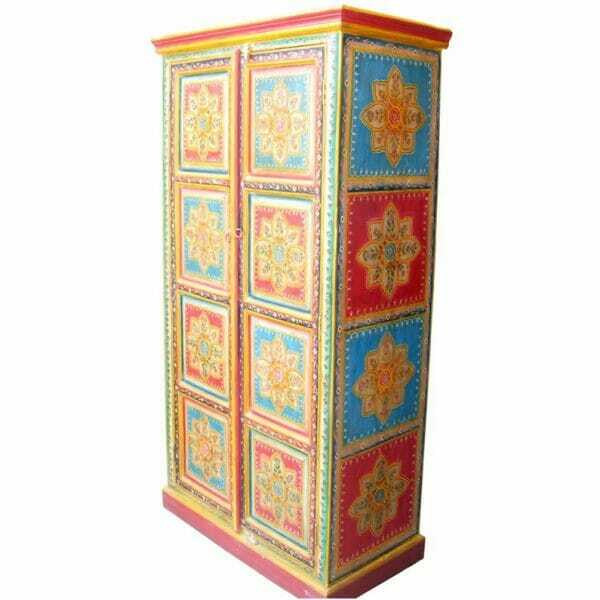 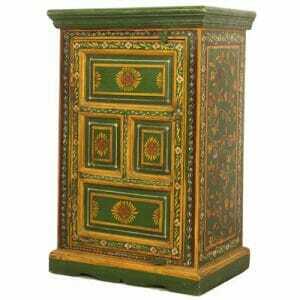 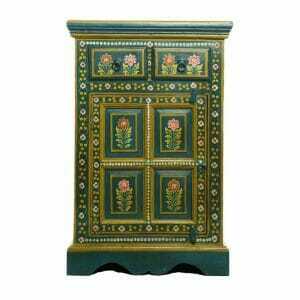 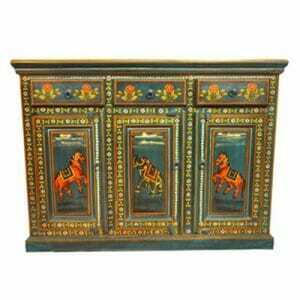 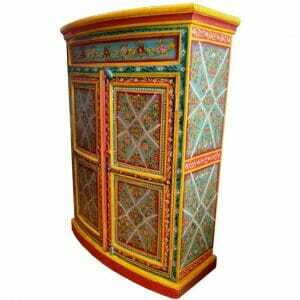 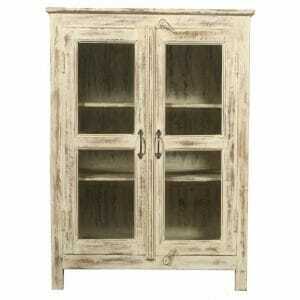 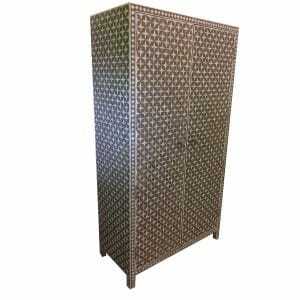 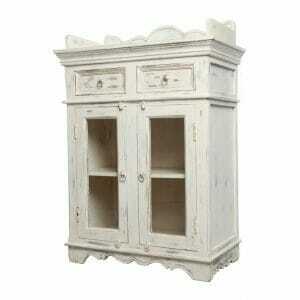 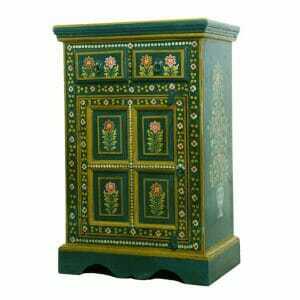 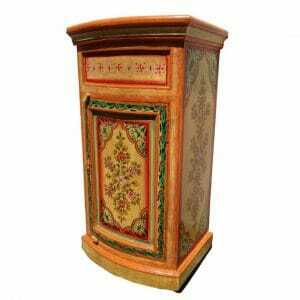 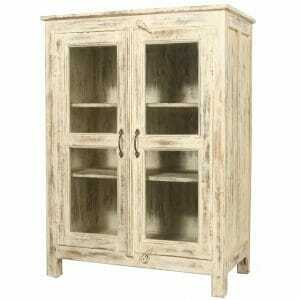 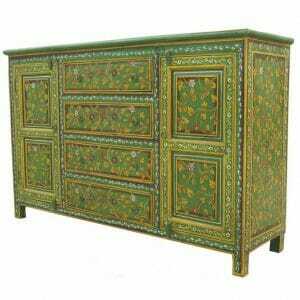 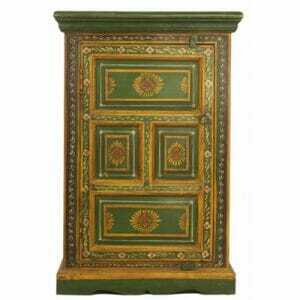 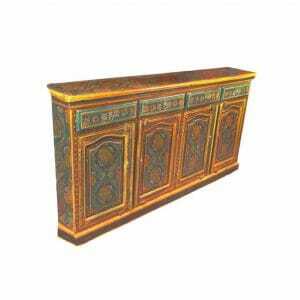 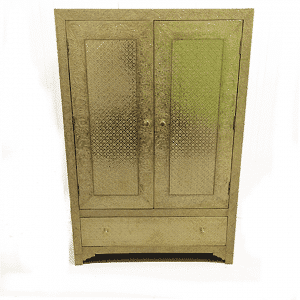 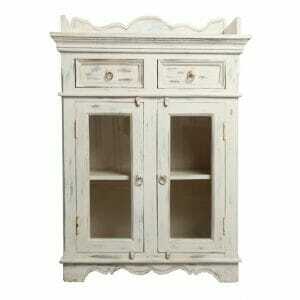 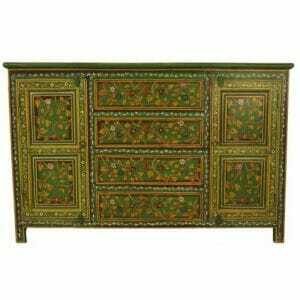 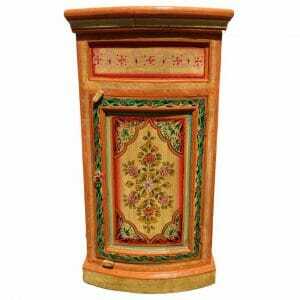 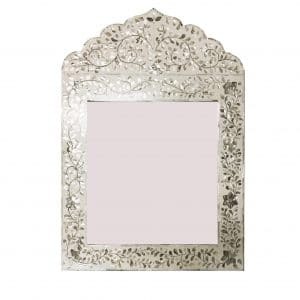 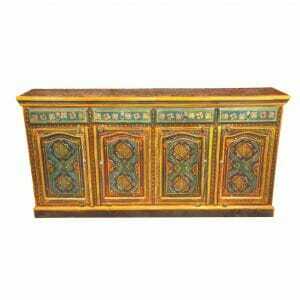 Now you can bring home a part of this wonderful tradition with this beautiful Indian wardrobe. 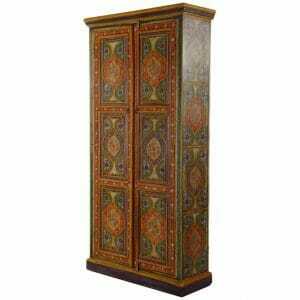 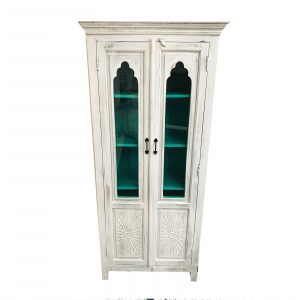 If you love this wardrobe, but need it in a particular size (or perhaps with your own personal combination of colours!) 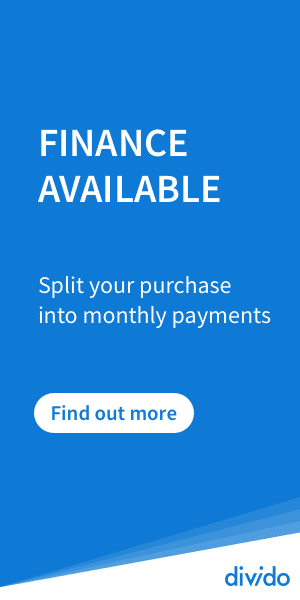 then simply let us know. 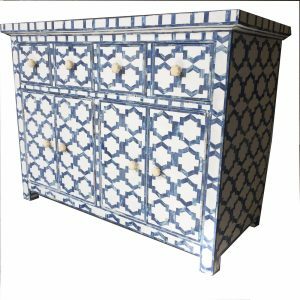 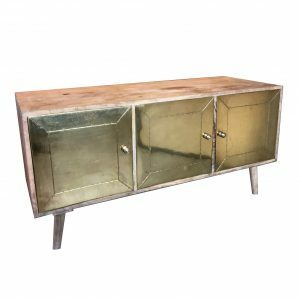 At Iris Furnishing we are always happy to place bespoke orders with our craftsmen, and can ensure that you get the piece of furniture that’s just right for you and your home. 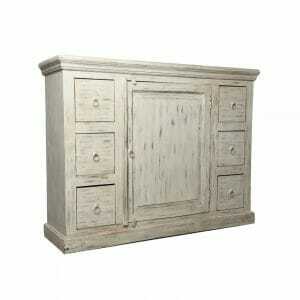 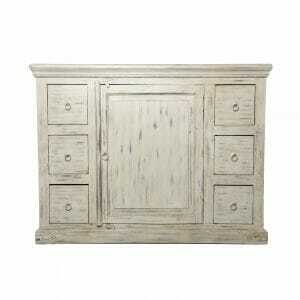 All of the elements of this wardrobe are sustainably and ethically farmed. 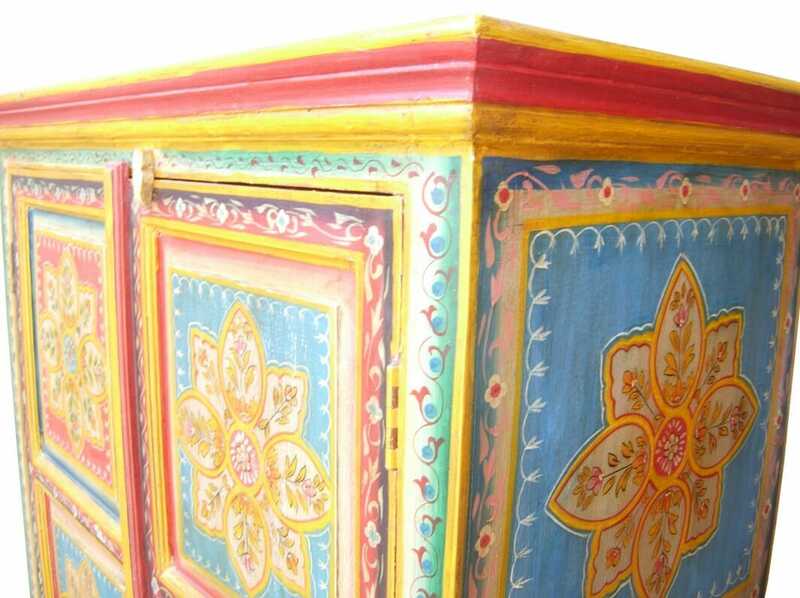 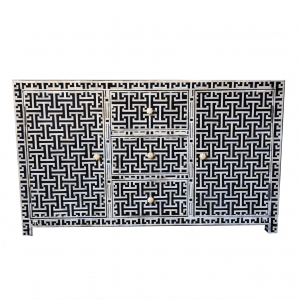 Iris Furnishing personally ensures that high standards of environmental sustainability and ethical trade are met, and travel regularly to the Rajasthan region to meet personally with the suppliers and craftsmen to guarantee that every item is both of the highest quality and ethically produced.